How Do I Train My Dog to Hunt? As a man’s best friend who wouldn’t want to take their most loyal buddy along for their next hunting expedition? Taking your dog along for the hunt is one of the most fulfilling options out there for a hunter to really bond with their furry friend. Not only can a dog provide pleasant company during a long day of hunting, but a well-trained hunting dog can actually help you track different types of animals, scare them into the open, and even retrieve them after you’ve landed an accurate shot. We have put together a few training exercises, benchmarks and accessories that can be purchased at your local hunting goods store, to get you started on turning your dog into your hunting buddy. It’s important that you take the introductory steps that every dog owner takes when first training their pet. This means teaching your dog simple commands such as “sit,” “stay,” “heel”, and “come,” as well as helping them to understand right and wrong. If you want your dog to be as excited about going on hunts are you are, you will need to generate a tradition of long walks in nature from an early age. Introduce your dog to hunting properties, nature trails and preserve areas to establish a routine of daily exercise outings. Do this long enough and your dog will know the properties better than you. It’s crucial that your dog associates water with fun, praise, and reward, not fear, harm, and discipline. To train your dog as a collector of ducks and other water birds, start laying the groundwork early on. Start your furry friend off by retrieving sticks or balls from streams and rivers on your walks. Our hunting goods store even carries dead fowl trainers to help your dog get used to the size of animals they may be retrieving. Teaching your dog to recognize the different decoys and real birds can be one of the biggest challenges you face during your training sessions. Consider setting out a spread of regular decoys and then scenting a decoy with bird scent. With repetitious “fetch” exercises and positive reinforcement, your dog will begin to understand the scented bird is the one they are supposed to retrieve. Your hunting buddy will then connect that scent with making you happy and become adept at retrieving real-life birds that share that scent. You are going to need your eager hunting associate to be able to relax and lay down while you scan the fields and skies for animals. Make sure you have food and water handy for the dog at all times. If you hunt from a boat it may take longer for your dog to get comfortable. Practice climbing in and out of the boat with your dog and eventually, start training him to leap overboard to retrieve decoys. 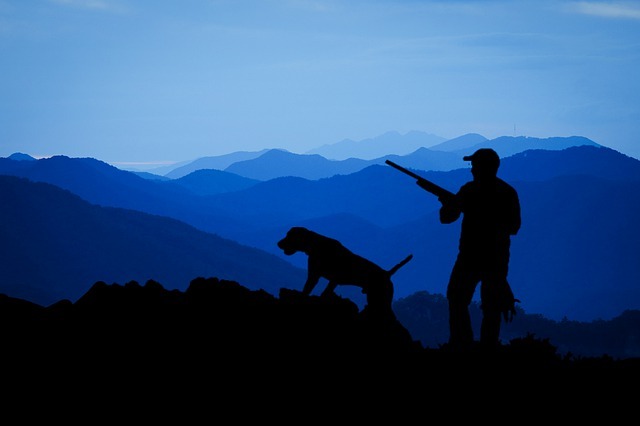 As one of Brantford’s leading sporting goods stores, we pride ourselves in carrying high-quality products, including those that are used to help train your dog to hunt. You can browse through the dog training products we carry here or visit our store today to have all of your questions answered.